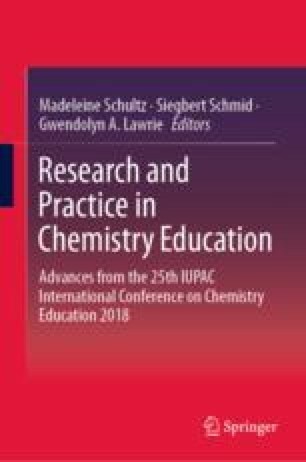 The biennial IUPAC International Conference on Chemistry Education (ICCE) provides participants with an opportunity to share their research and/or their practices or to simply survey the landscape in this rich field and exchange ideas with peers. Participants typically represent multiple academic and teaching roles at all career stages. The international roots of this forum provide us with a snapshot of chemistry education research and practice originating across all five continents—we are able to map a landscape that informs alignment with the current understanding and the directions in growth in our field. The editorial team is very grateful to the many reviewers who reviewed chapters for this book. We also thank all chapter authors for their contributions.